In Week 7, the Seahawks swatted the Cardinals out of the rain filled Seattle sky before settling on their perch atop the NFC West, handling the Cardinals by a score of 22-10. Five Arizona turnovers, an ineffective offense led by Max Hall, ridiculous special teams blunders, including two of the Cards’ five turnovers, and an all too familiar rash of undisciplined penalties made for another frustrating Cardinals’ road loss. After Max Hall’s thrill ride debut in Week 5, the Cardinals found out what’s it’s like to start a rookie at quarterback on the road against a division rival. Hall didn’t even make it through the entire game. He played quite poorly completing only 4 of 16 passes for 36 yards and one interception before a crushing blind-side sack-fumble by Seattle defensive end Chris Clemons knocked all Hall out of the game with a concussion. Derek Anderson, Hall’s replacement, finished 8/17 for 96 yards with 0 TDs and 0 INTs. After a quick start, Anderson cooled off and, as per usual, missed a wide open Early Doucet for a would be big play in the third quarter. At the time, Whisenhunt made it clear that Anderson’s appearance was merely a fill in role for the injured Hall. As we head into the Week 10 rematch, Anderson is once again the unquestioned starter. Arizona’s defense played pretty well as Seattle didn’t do very much at all on offense while the game was still in contention. 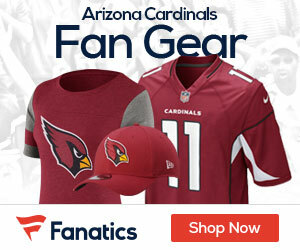 Arizona forced Seattle to kick five field goals and punt four times despite the fact that the Seahawks were planted inside the Cards’ 20 yard line twice due to two Arizona turnovers. Seattle’s lone touchdown came off of a muffed punt by rookie Andre Roberts, who inexplicably attempted to pick up the bobbled punt instead of falling on it. Seattle of course stripped the ball and recovered the fumble to set up shop inside the redzone. In Seattle, the Cardinals had their wings clipped, their confidence bruised, and they flew back to Arizona to continue what has become a three game losing streak, which the Cardinals haven’t snapped yet. It was a very poor performance to be sure. Since defeating Arizona at home, Seattle has not improved their situation. 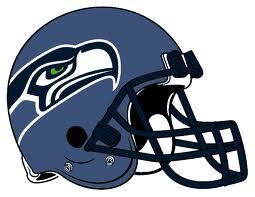 The Seahawks were manhandled in a 33-3 loss to the Oakland Raiders, during which Seattle quarterback Matt Hasselbeck suffered a concussion. The injury knocked him out of the Week 9 contest at home against the New York Giants. It’s just as well. Seattle, playing the gracious host, was far too gracious and took a 41-7 pounding in the process. The Seahawks, therefore, failed to capitalize on grabbing an unshared lead of the NFC West. Their two-game losing streak has forced a two-way tie with the St. Louis Rams for control of the division. A lot is riding on this game for the Cardinals. I hate to label any non-playoff game as a “must win,” but this one is as close as it gets. The Seahawks are now the fulcrum of the Cardinals’ season. This game will very likely tip the year one way or the other for a number of reasons. Let’s take a look at them in greater detail. Arizona Probably Can’t Recover from a 3-6 Record. This is the paramount reason, of course. Their potential of winning a third straight division title would plummet if the Cards lose to the Hawks this week. You have to believe that it will take an 8-8 record at a minimum to win the NFC West. If the Cardinals drop to 1.5 games below .500 by losing this week, it would mean that Arizona must win 5 of their final 7 games to finish at 8-8. Think of it this way: if Arizona loses to Seattle, they can only lose twice more the rest of the way. Somehow stating the latter way seems much more daunting, but it’s no less than the truth. The Cards’ strength of schedule would permit a 5 of 7 stretch the rest of the way, but I can’t honestly say that I’d feel confident in their ability to get it done. Not because of a lack of talent, but an inability to correct mistakes, particularly turnovers and costly penalties. Seattle is a Division Rival. A division rival to whom Arizona has already lost. If the division comes down to both the Seahawks and the Cardinals finishing up with 8-8 or 9-7, the division would obviously go to Seattle because they will have won the head-to-head. 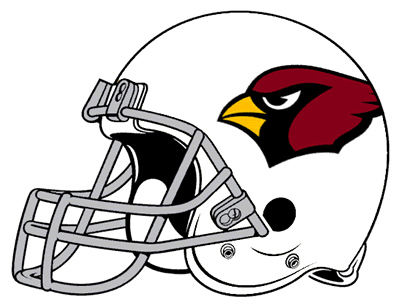 The Cardinals must protect against getting swept by a division rival that’s clearly contending for the NFC West title. The Hawks have the advantage of winning the Week 7 matchup. Arizona must split the series with a home victory in Week 10. Arizona’s Play at Home will Likely Dictate the Rest of the Season. If the Cardinals have any hope of turning their season around, they have to play well at home, which starts this week. Consider that 5 of Arizona’s final 8 games are at home. In addition, four of those home games are in the next five weeks. A Week 11 road game in Kansas City breaks up the party, but the Chiefs will be followed by home games against San Francisco, St. Louis, and Denver (2-5), respectively, all of which are very winnable. Arizona should win all three of those games. San Francisco is a mess, St. Louis hasn’t won on the road yet, and Denver is 2-5 in the second weakest division in the NFL. Let’s assume, however, that they only win 2 of those 3. Also assume a road loss to Kansas City, a team with a great running attack and a top defense. This would put the Cardinals at 6-7 heading into the final three weeks of the season. They face the Panthers (1-7) away, the Cowboys (1-7) at home, and the 49ers (2-6) away. Obviously, the Cardinals would need two wins to climb to 8-8. With that record, maybe yes, maybe no. In any event, it all starts this week against Seattle. Arizona desperately needs a feel-good home win to set the team in motion for the rest of the way, which obviously is still littered with opportunity. Both teams have had some personnel developments due to injury since Week 7. Arizona holds a clear advantage in this department. Fortunately for the Cardinals, they are getting the better end of the stick in terms of health. Arizona had a number of players return from injury since Week 7. They are: WR, Steve Breaston; LB, Gerald Hayes; and rookie LB, O’Brien Schofield. Linebacker Clark Haggans is the only significant loss sustained by the Cards since they last played the Hawks. Chief among those names are Breaston and Hayes. Both add a lot to the offense and defense. Steve Breaston is dynamic presence that the Cardinals sorely missed when last they played Seattle. In addition, Gerald Hayes is a leader on the defense. He’s already made an impact by returning a fumble for a touchdown against the Buccaneers in Week 8. Their return should prove very useful this time around against Seattle. I don’t mean to discount Schofield’s impact, though. The rookie has made a difference already in just two NFL appearances. He stripped Percy Harvin, which was returned for a touchdown by Michael Adams, during the opening kickoff of the second half last week. Seahawks Have Been Devastated by Injuries. This seems to happen every year to Seattle. Quarterback Matt Hasselbeck failed his concussion tests last week and did not play against New York. In addition, WR Golden Tate was held out against the Giants due to an ankle sprain in Week 8 against Oakland. The defensive line is in shambles as well. Defensive tackles Colin Cole and Brandon Mebrane were both inactive last week. In addition, defensive end Red Bryant has been placed on IR, with DT Frank Okam taking his spot on the 53-man roster. The offensive line didn’t escape the carnage either, as oft injured first-round pick, OT Russel Okung, was unable to play against New York due to an ankle injury he sustained against the Cardinals in Week 7. In Okung’s stead, Chester Pitts, a third string option, played for the first time last week after undergoing micro-fracture surgery. We will, of course, have to keep an eye on how each team’s injury report to determine who will be ready to go for the game this Sunday, but it’s likely that Seattle will be missing at least some significant pieces of the puzzle. Don’t look now, but Derek Anderson has finally shown some consistency. In fact, since he relieved Hall just before the half in Week 8, Anderson has completed 31 of 50 passes for 413 yards, 2 TDs, and 2 INTs for a 84.3 passer rating. That’s not half bad. The 62% completion rating is particularly attractive, which has been a bane for Anderson throughout his career. In addition, one of the two interceptions recorded in that span was a ball that was jarred loose from LaRod Stephens-Howling‘s grasp by Geno Hayes and scooped of the turf by Barrett Ruud in Week 8; a tough break for Anderson. It all evens out, though, as Chad Greenway dropped a sure interception the next week in Minnesota. I’m sure the Cardinals would be more than happy to get this kind of an effort out of Derek Anderson this Sunday. The way the game went, with the offensive packages we were using to attack those guys, Beanie just hadn’t had a lot of reps on. That was what it was about more than anything. Hopefully he won’t have any issues this week. I think if the game had gone differently and we had been able to run the ball a bit better later in the game, we would have used the packages he was comfortable with and we would have seen more time with him. Apparently Wells’ knee won’t be an issue this week because his swelling was due to an allergic reaction to an injected lubricant, which obviously can be avoided. In addition, Wells is expected to get the proper amount of practice time this week, allowing Whisenhunt to make full use of him against Seattle. Cardinals are a 57% favorite over Seattle, 43% underdog. *AccuScore has powered more than 10,000 simulations for every NFL game, each simulated one play at a time and a minimum of 10,000 times.